Greg Gorman/PRNewsfoto/Elton John AIDS FoundationElton John and Prince Harry, the Duke of Sussex, have announced that they’ll be launching a new global coalition focused on improving access to HIV testing and treatment for men. The coalition and its new campaign will be unveiled at the 2018 International AIDS Conference in Amsterdam on July 24. “Two years ago at the 21st International AIDS Conference in Durban, South Africa the Duke of Sussex and I participated in a panel looking at HIV and youth — the only age demographic where HIV infections are rising not falling,” Elton says in a statement. 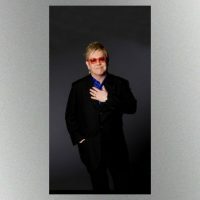 Elton founded the Elton John AIDS Foundation in 1992 and was close friends with Prince Harry’s mom, Princess Diana, who was an advocate for AIDS and HIV causes.